Happy Monday! I hope those of you in the midwest and the east have managed to thaw out a little and get yourself unburied. The older I get, the less I find snow charming and the more thankful I am to live someplace where we rarely get any. I’ve decided that having a three day weekend every week would make my life so much nicer. Now if only I could get everyone else on board. Knowing I had an extra day, I got little done on Saturday, instead spending much of it snuggled up on the couch with a great book coming out next month. I hope your weekend also included some extra reading time. I have really been on a tear when it comes to suspense novels this year and last week I finished two more I liked. The surprising thing is that I don’t normally read a lot of suspense/thrillers, but that’s definitely where I’ve been this month. I mostly liked Her One Mistake by Heidi Perks. Of course, it had parts that were a real stretch, but I was always engaged and eager to get back to reading. I’ll have a mini-review at the end of the month. I finished listening to An Anonymous Girl by Greer Hendricks and Sarah Pekkanen on Friday and again was very please. The narrators, Julia Whelan and Barrie Kreinik, brought the story to life. I’ll be doing a full audiobook review next week. 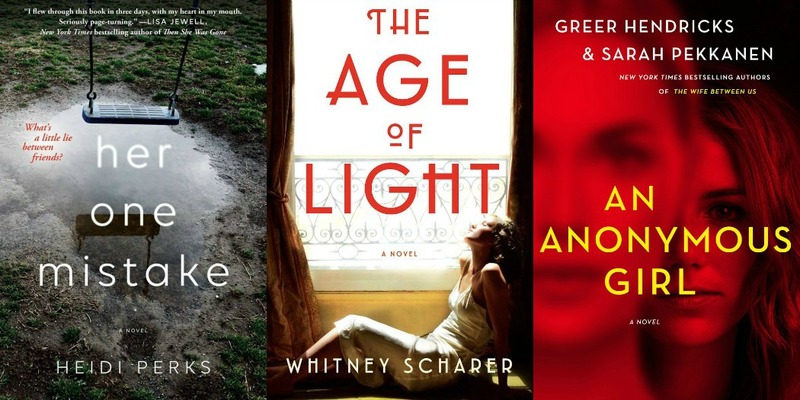 And then there’s The Age of Light, a debut by Whitney Scharer. This book about photographer/model Lee Miller and her relationship with artist Man Ray kept me up late into the night and renewed my love of historical fiction. I had expected to like this book, and am happy to report that it exceeded my expectations! I’ll have a full review in early February. I thought I was done with January books, but then Sugar Run by Mesha Maren came in at the library. I’ve read about 5 pages so far, but like the writing and am eager to see where this book goes. It’s the story of a woman released after 18 years in prison. 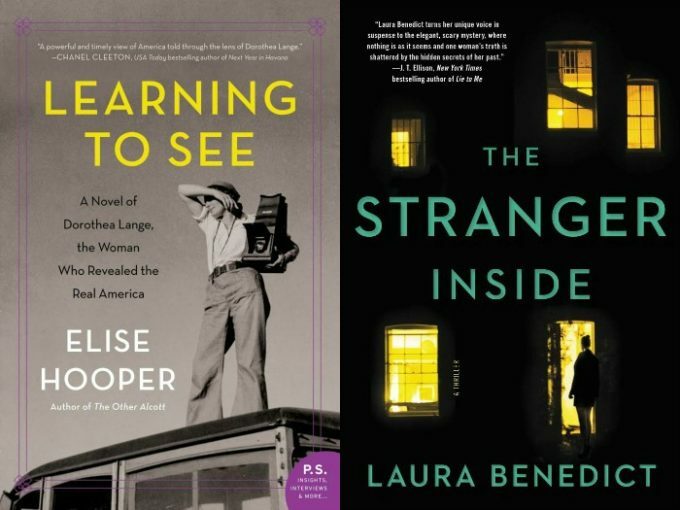 I need a new audiobook and plan on making it Learning to See by Elise Hooper. This is the true story of another early female photographer, Dorothea Lange. Lange took some of the most famous photographs of the depression era all while trying to support her own family. Best part? The narrator is Cassandra Campbell, one of my favorites. I’m also looking ahead to yet another suspense novel, The Stranger Inside by Laura Benedict. At first glance, the premise sounds a lot like Our House by Louise Candlish (my review), but I think it’s actually quite different. Blurbs call it twisty and compelling and that’s been working for me lately! I listened to a lot of those domestic suspense/marriage thriller audiobooks this month, too. All my e-audio holds from the library came in together. I get sick of them after a while and stop, but eventually go on another binge with them again. They’re addictive! The only one I really disliked recently was The Woman in the Window. It’s so nice to hear from someone else who didn’t like The Woman in the Window. Mine was one of the few negative reviews around last winter. Welcome to the club! Some of the things written about the female characters made me wonder and I looked the author up and sure enough, it was a guy. I guessed the big twist from the start, too, which probably didn’t help! I’ve added The Age of Light to my library holds list. I’m always tempted when I hear a book made someone stay up super late! Maybe switching to historical fiction will knock me out of my average reading slump. I’ll wait for your thoughts on The Stranger Inside. Have a great week Susie! 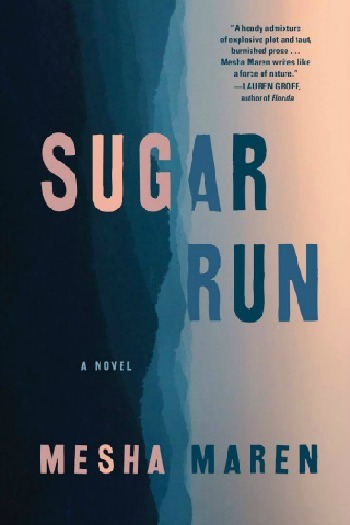 Sugar Run sounds like a powerful book. Hope you enjoy the rest of it as much as you’ve liked the opening! Sadly, I didn’t. I ended up DNFing it after about 40 pages. Have a great week, Monika. I have Her One Mistake on my shelves…and I loved An Anonymous Girl. I really want to read Her One Mistake — perfect for a cozy winter evening. And Learning to See is on my audio list too — Love Cassandra Campbell. Cassandra Campbell is one of my top three. Anything with her narrating is better than it would be without her. Learning to See sounds interesting. I have been blown away by a number of Lange’s photos. Come see my week here. Happy reading! I agree about Lange’s photos. That’s why I’m excited to hear about the woman behind them. 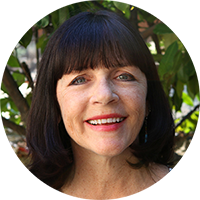 Learning to See sounds very interesting and Cassandra Campbell is one of my favorite narrators, too. I’m definitely more likely to choose to listen if she’s the reader! It’s pretty amazing the influence a great narrater can have on an audiobook’s success. Hope you get to read and enjoy them both. I would love a three-day weekend every weekend, too! Between you and Sarah I feel like I need to read An Anonymous Girl! I think you’re right on that. I never expect all that much from thrillers, so give them a lot of leeway. I definitely go through suspense novel spells as well. And I enjoyed An Anonymous Girl, too. An Anonymous Girl seems to be the thriller of the season, or at least of January. Glad you liked it, too. I’m planning to read Age of Light! Georgia recommended it on my podcast and so glad you loved it! And interested to hear your thoughts on Sugar Run. I liked the writing too, but couldn’t get into the story. Hmm. Learning to See sounds intriguing. I’d like to know more about Lange’s life. I hadn’t heard of this one, so thanks! I feel like a dope with Learning to See. For some reason I’d marked it as nonfiction, but it’s not. I had just finished one historical fiction and have another coming up soon, so after listening to about 40 minutes of Learning to See, I returned it. I really wanted a nonfiction book. Great to hear you made the most of your three day weekend, Susie – it is always nice getting in some extra reading time. Interesting that you’re enjoying suspense/thrillers so much currently; our reading moods are everchanging, and I often find when I get enthralled with a particular genre I tend to stick with it for a little while. I’m intrigued by Sugar Run. I hope you’re had a lovely week & happy reading!